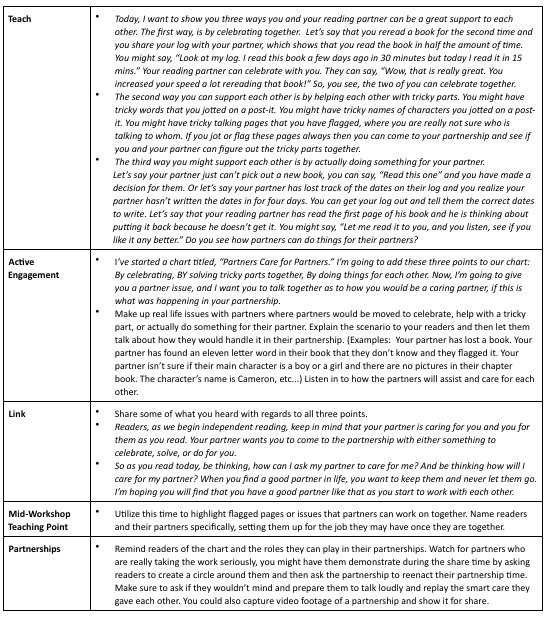 Blog Hoppin': Setting Up Partners for Reading Workshop (and FREE Standards Aligned Lessons)! 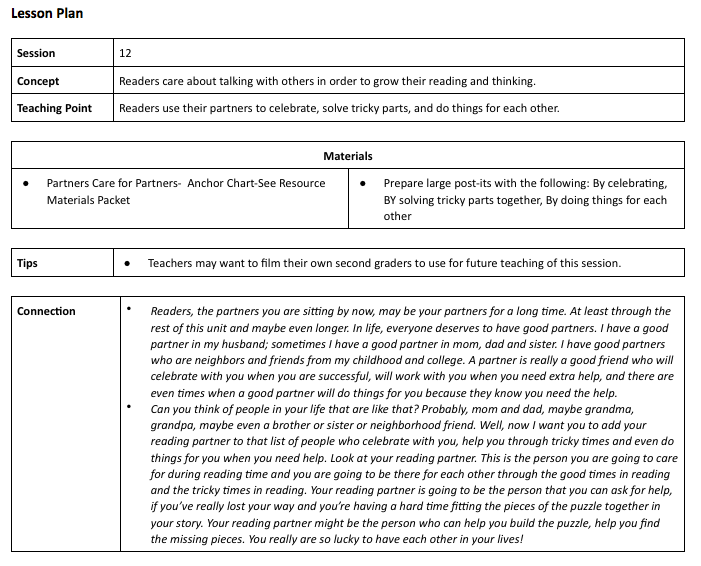 Setting Up Partners for Reading Workshop (and FREE Standards Aligned Lessons)! My favorite subjects to teach are reading and writing. I especially enjoy working with children using the workshop model. There's something about the natural way to guide students to be strong readers and brilliant young authors using this instructional approach. It's important to set the classroom up for a reading workshop environment. We have a library that lends itself to young readers as they excitedly get to browse the various books on display and on each shelf. I don't have my books on display according to levels. Instead, our books are on display by topic and genre. Adults don't browse books at their local bookstore by asking, "Could you please point me in the direction of the level J books." We get excited about our favorite authors, series, topics, genres, and new releases. 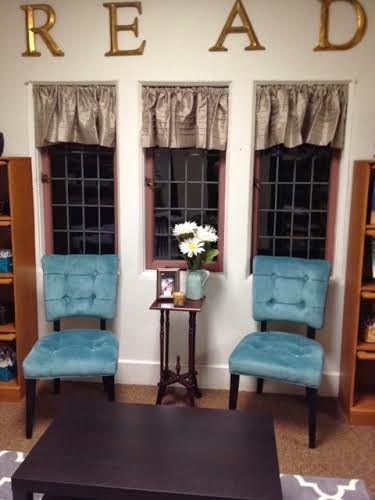 Therefore, our classroom library is arranged as such. Additionally, when it is time to read, we don't hunt for the "cozy desk" but rather a nice nook or chair to read in for the allotted time. After our routines have been established, we begin to move from independently book shopping to more of a partner book shopping approach. This way, discussion can be encouraged among friends and they can support each other's comprehension as they dig deeper into their stories and discuss their books. 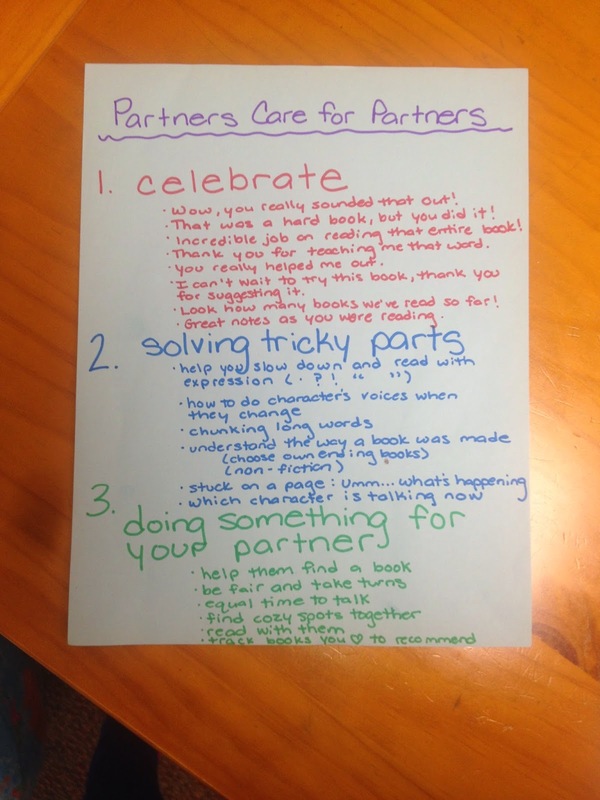 One of the first lessons we do is "Partners Care for Partners." 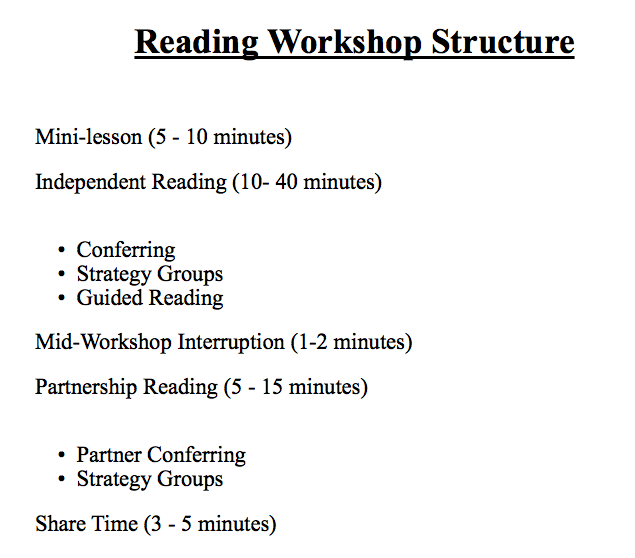 Our partnerships are based on reading levels. 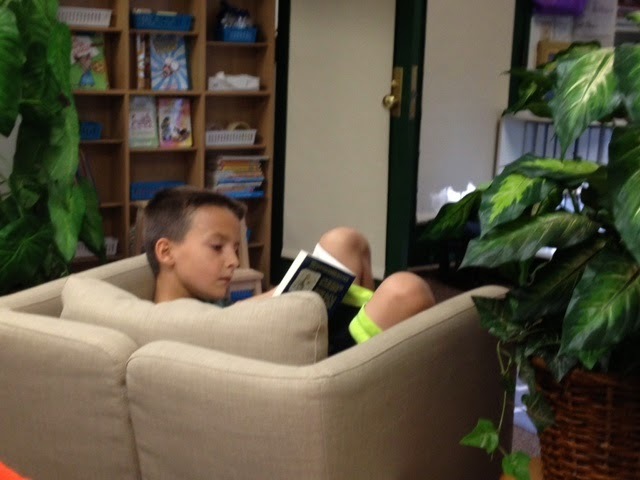 I also take into account how the students will get along and what their reading interests are. They get so excited about working with their friends. I'm always impressed by the level of conversation they hold with one another. I can't wait to see how each young reader develops!